Once when our 9th Imam, Imam Taqi (as) was only nine years old, he was walking down a street of Baghdad, when Mamun al-Rashid and his soldiers came by. All the other children on the street ran away but Imam Taqi (as) did not. Noting this, Mamun al-Rashid stopped his carriage and asked, "Young man, why did you not run away like the other children?" Imam Taqi (as) replied calmly, "Neither had I committed a crime, nor was I blocking the way. Why should I have run away or be afraid? And I also know that you will not cause any unnecessary trouble when your way is not blocked." Mamun al-Rashid was surprised with this mature reply and asked, "What is your name?" "Muhammad," came the reply. Whose son are you? asked Mamun al-Rashid. 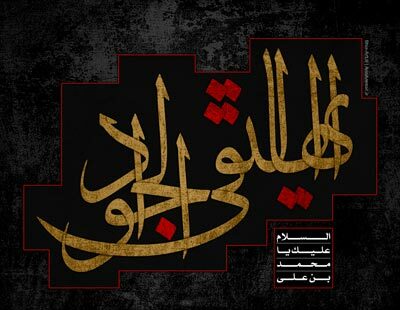 "Son of Imam Ali Ridha (as)." Mamun al-Rashid rode on. During his hunt the hawk returned to him with a fish in its beak. Mamun al-Rashid was surprised. He returned back toward the city. Once again, he found children playing on the same spot, who ran away seeing the caliph's soldiers, except this young man who said he was Muhammad son of Imam Ali Ridha (as) who remained where he was. Mamun al-Rashid hid the fish in his palm, stopped his carriage near Imam Taqi (as) and said, "Tell me, what is there in my fist?" Imam Taqi (as) replied, "Allah (SWT) has created tiny fish in the river. The hawks of kings sometimes catch fish from there and bring it to the Kings. They hide it in their fist and ask a member of the Ahlul Bayt of the Prophet, "Tell me what is there in my fist." Mamun al-Rashid said, "Truly, you are the worthy son of Imam Ali Ridha (as). Mamun al-Rashid took the young Imam Taqi (as) with him, and let him live in a nearby house next to the Royal Palace. Moral: You should not be scared of anything or anyone as Allah (SWT) is the strongest and will look after you.